For clergy available for supply, go to the Supply Clergy List. For Deacons only, go to the Deacons Directory. Click the "Name" column header to sort clergy by last name, ascending or descending. 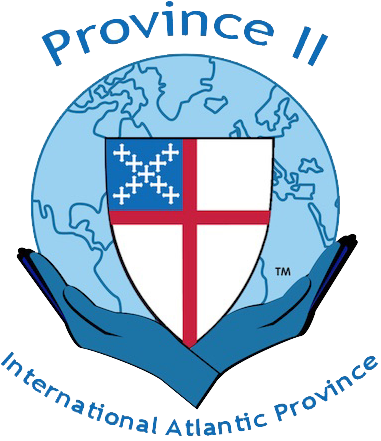 Click the clergy photo or name link to see full information for a specific clergy person, including contact information. Wilson, The Rev. Dr. Canon Sandye A.
Wajnert, The Rev. Theresa A.
Thomas, The Rev. Trevor E. G.
Taylor, The Rev. David K.
Swanson, The Rev. George G.
Stopfel, The Rev. Barry L.
Solon Jr., The Rev. Robert (Bob) F.
Smith, The Rev. Stuart H.
Signorelli, The Rev. Barry M.
Sickles, The Rev. Clarence W.
Shearer, The Rev. Donald R.
Schink, The Rev. Susan A.
Schembs, The Rev. Lois J. Salt, The Rev. Alfred L.
Salmon, The Rev. John F.
Renn, The Rev. Canon Wade A.
Rawson, The Rev. William L.
Ragsdale, The Very Rev. Katherine H.
Polglase, The Rev. Kenneth A.
Pisani Jr., The Rev. Gerard A.
Pickard, The Rev. Joseph S.
Myers, The Rev. Elizabeth W.
Morgan-Higgins, The Rev. Stanley E.
MacDonell, The Rev. Alexander H.
Louis, The Rev. Richard M.
Lincoln, The Rev. Thomas C.
Lewis, The Rev. Mark A.
Koehler, The Rev. Anne E.
Kimmick, The Rev. Donald W.
Kern, The Rev. David P.
Hamilton, The Rev. Dr. David H.
Guthrie, The Rev. William A.
Gressle, The Rev. Richard L.
Golub, The Rev. Elizabeth K.
Gentry, The Rev. Keith A.
Gannon, The Rev. William S.
Galleher, The Rev. Stephen C.
Fox III, The Rev. Frederick C.
Fouts, The Rev. Dr. A. G.
Donnelly, The Rev. F. Ellen A.
Dixon, The Rev. Robert K.
Davis, The Rev. Orion W.
David, The Rev. Jacob T.
Clarke, The Rev. Sheelagh A.
Chrystal, The Rev. Susan P.
Chang, The Rev. Dr. Mark C. M.
Brown, The Rev. David C.
Andersen, The Rev. Richard B.